About the plant: Orange is a tropical evergreen tree that reaches a height of about 30 feet. It has dark green leaves and fragrant white flowers that turn into orange fruit. 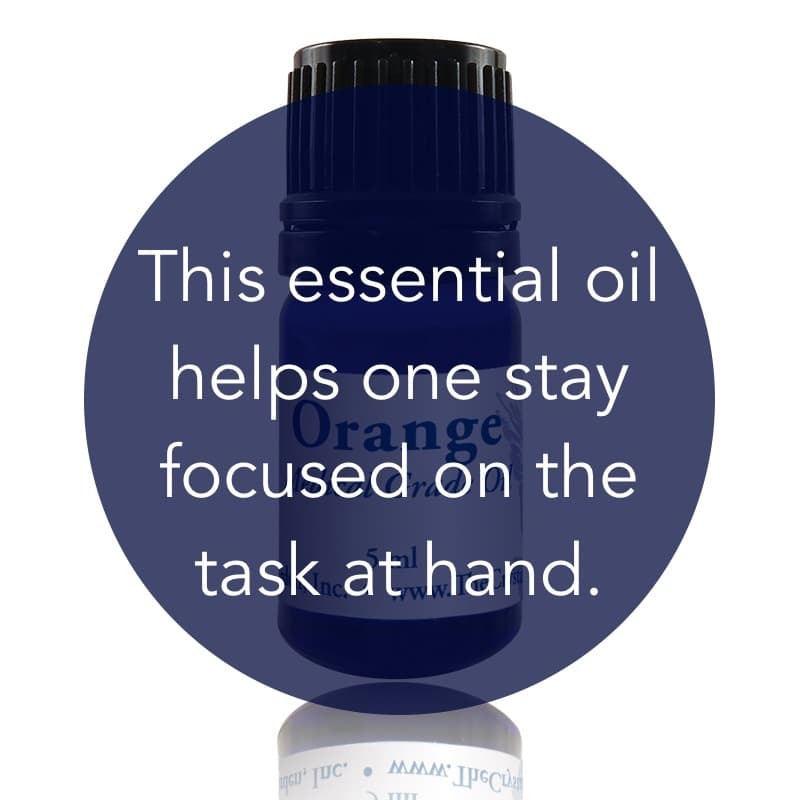 Spiritual uses: Orange essential oil invokes the help of Archangel Raphael’s healing rays as well as Archangel Uriel’s higher wisdom and earthly grounding. Mental uses: Orange helps you think clearly, stay focused on the task at hand, and remember what you are doing. Emotional uses: Orange is enlivening and brings joy but it also provides the energy of relaxation and calmness. It is a perfect essential oil for a bride and her attendants for just that reason: it calms the nerves and keeps the focus on joy and confidence. Physical uses: Orange is extremely effective for cleaning and removing bacteria, including staphylococcus. 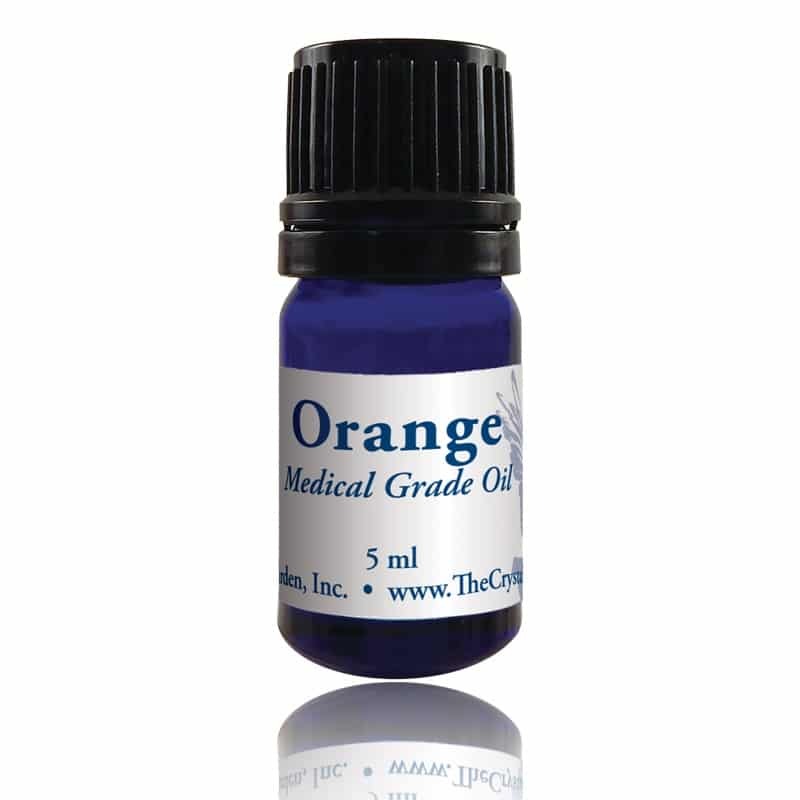 Orange helps sanitize wounds, prevent microbial growth, and evade septic infections and tetanus. This oil is a potent odor remover that is especially effective in the bathroom. For your safety: Potentially toxic in high concentrations, so use sparingly. Do not use if pregnant or nursing. Orange is also available as a 2oz spray.